TROUBLED SEA: ECOLOGY AND HISTORY IN 21ST-CENTURY CARIBBEAN ART. Manuscript under review. The book examines, through the prism of ecocritical theory, a set of photographs, paintings and installations produced by artists within the last fifteen years to reflect the growing “troubling” of Caribbean waters. The project looks primarily at artists’ approaches to the spaces where salt and fresh waters meet—disappearing mangroves, beaches covered in plastic flotsam, endangered coral reefs, flooded coastal plains—as troubled spaces where natural, historical, cultural and economic tensions coalesce. My analysis of these works (many of which incorporate materials drawn from the sea as artistic material) will serve as an entry into the rich expressive possibilities open to 21st-century Caribbean environmental artists and the theories that underpin their work. These photographs, paintings and installations metaphorically underscore how Caribbean nations and peoples have been marked by their proximity and dependence on the sea. My overarching question in this study is how biodiversity losses have shaped visions of the Caribbean region across a broad spectrum of narratives—and how these narratives force us to reconsider what it means to be “postcolonial” in a new century in which Caribbean writers have begun to ponder the potential extinction of Caribbean islands and peoples due to global warming, continued deforestation, galloping desertification, and rising sea levels. 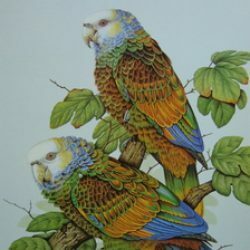 The study, therefore, focuses on past animal extinctions and currently endangered species, using specific cases to illustrate spaces where political, economic, cultural and biological “narratives” intersect and their importance for understanding the impact of colonial and neo-colonial/neo-liberal policies on Caribbean environments. The case studies illustrate how quickly and devastatingly the Columbian encounter evolved into an ecological revolution—an “an abrupt and qualitative break with the process of environmental and social change that had developed in situ” (Melville). Facing catastrophic habitat collapse, island ecologies experienced “substantial species’ loss” from the earliest stages of colonization (Miller). This ecological revolution can be measured in terms of biodiversity losses that have erased thousands of flora and fauna species in the region, some dating back to the earliest decades of the Indies’ colonization and conquest. 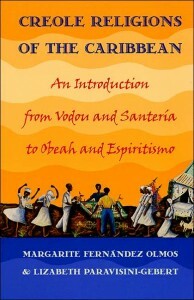 A much revised edition of Creole Religions of the Caribbean (originally published in 2003, see below) appeared in 2011. A third edition is forthcoming. 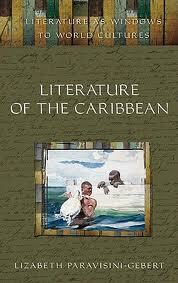 THE LITERATURE OF THE CARIBBEAN. Westport, CT.: Greenwood Press, 2008. This book project stemmed out of my interest in making Caribbean literature accessible to a larger public by offering a series of studies that could make it possible for classics of the region to be incorporated into the high school curriculum in the United States. I selected the fifteen texts I thought most suitable for high school readers and asked myself “if I were a high school teacher unfamiliar with the nuances of life and culture in the Caribbean, what would I need to know in order to teach each of these texts effectively?” The book includes chapters on Michael Anthony’s The Year in San Fernando, Alejo Carpentier’s The Kingdom of this World, Michelle Cliff’s Abeng, Maryse Condé’s I, Tituba, Black Witch of Salem, Raphael Confiant’s Mamzelle Dragonfly, Edwidge Danticat’s Breath, Eyes, Memory, Zee Edgell’s Beka Lamb, Magali García Ramis’s Happy Days, Uncle Sergio, Jamaica Kincaid’s Annie John, Mayra Montero’s The Messenger, V. S. Naipaul’s The Mystic Masseur, Patricia Powell’s A Small Gathering of Bones, Jean Rhys’s Wide Sargasso Sea, Simone Schwarz-Bart’s The Bridge of Beyond, and Derek Walcott’s Omeros. 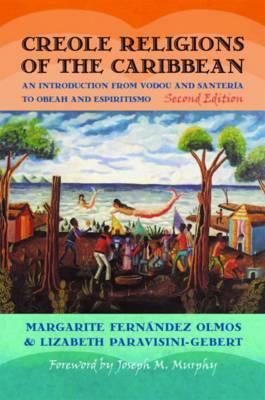 CREOLE RELIGIONS OF THE CARIBBEAN: FROM VODOU AND SANTERIA TO OBEAH AND ESPIRITISMO. With Margarite Fernández Olmos. New York: New York University Press, 2003. Creole Religions of the Caribbean offers a comprehensive introduction to the syncretic religions that have developed in the region. From Vodou, Santería, Regla de Palo, the Abakuá Secret Society, and Obeah to Quimbois and Espiritismo, the volume traces the historical-cultural origins of the major Creole religions, as well as the newer traditions such as Pocomania and Rastafarianism. 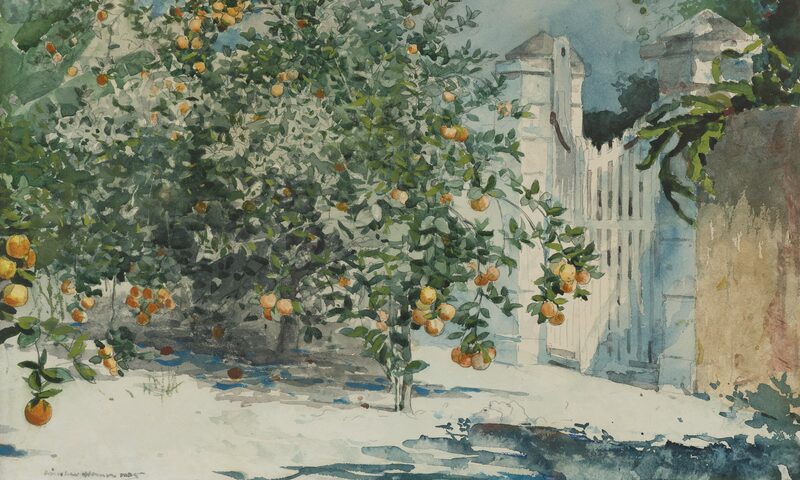 JAMAICA KINCAID: A CRITICAL COMPANION. Westport, CT.: Greenwood Press, 1999. 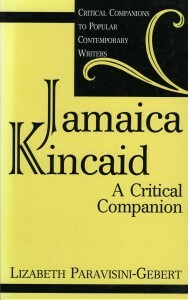 With the publication of her novel Annie John in 1985, Jamaica Kincaid entered the ranks of the best novelists of her generation. Her three autobiographical novels, Annie John, Lucy, andAutobiography of My Mother, and collection of short stories, At the Bottom of the River, touch on the universal theme of coming of age and the female adolescent’s need to sever her ties to her mother. This angst is couched in the social landscape of post-colonial Antigua, a small Caribbean island whose legacy of racism affects Kincaid’s protagonists. Her fiction rewrites the history of the Caribbean from a West Indies perspective and this milieu colors the experiences of her characters. 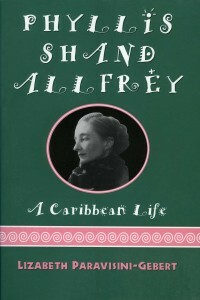 PHYLLIS SHAND ALLFREY: A CARIBBEAN LIFE (Biography). New Brunswick, N.J.: Rutgers University Press, 1996. This biography of the writer and politician recreates Allfrey’s life against the background of 20th-century Caribbean political and literary history—from the decline of the planter class, the rise of party politics, the efforts to join the West Indies into a federation in the 1960s, and the post-independence period after 1970.